Most people think of Hawaii as a destination filled with high-rise hotels. While towering resorts do tend to dominate the landscape in many areas, there are a number of charming bed and breakfast inns scattered throughout the islands. These smaller, more intimate accommodations offer visitors the chance to experience the lifestyle, food and customs of local Hawaiians while still enjoying many of the amenities of the major chain hotels. Kauai, Hawaii's fourth-largest island, is sometimes called the "Garden Isle," thanks to its lush greenery and tropical rainforests. Kauai is also home to spacious white-sand beaches and Waimea Canyon, known as "the Grand Canyon of the Pacific." The movie "South Pacific" was filmed on the north side of the island in the 1950's. Today, Kauai still retains a remote and mysterious beauty. "Run to the phone right now and book this place!" is Frommer's opinion of this charming inn. Set on two acres of lush farmland on Kauai's East Shore, the Kauai Country Inn is minutes away from breathtaking beaches and hiking trails. Four spacious suites feature island décor, private bathrooms and kitchenettes. A quirky feature of the inn is its vast collection of Beatles memorabilia, including a car once owned by manager Brian Epstein. The Hanalei Surfboard House, lauded by Lonely Planet and the Wall Street Journal, is located across the street from the beach in the laid-back surfer town of Hanalei. The inn, which gets its name from the lineup of vintage surfboards surrounding its exterior, offers two suites with private entrances and patios, plush beds and bathrooms with locally produced toiletries. 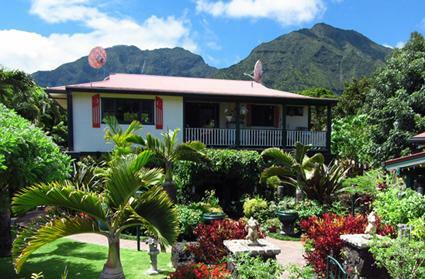 Hale Lani Bed and Breakfast is a luxurious, four-suite B&B is located on Kauai's "Coconut Coast" on the eastern side of the island. The inn offers private entrances, private patios and gardens, full kitchens, hot tubs and cheerful island decor. The "Big Island" of Hawaii is a study in contrasts. It is home to two active volcanoes, orchid farms, pineapple plantations and lovely black sand beaches. The largest of the Hawaiian islands, the Big Island has a number of scenic parks and picturesque towns, vast undeveloped areas and bustling resorts. Affordable and eco-tourism are the bywords at the Volcano Guest House, a family-friendly retreat just outside of Volcanoes National Park. Cottages and rooms feature kitchenettes and cable TVs, and the inn's outdoor dining area serves breakfast and snacks 24/7. Solar-assisted hot water and line-dried linens are part of the inn's sustainable efforts, but guests are only required to relax and enjoy the easygoing atmosphere and cool, mountain breezes. An intimate bed-and-breakfast overlooking Pohakumanu Bay, The Palms Cliff House is designated as a "real gem" by Hawaii Revealed. The inn offers eight oceanfront rooms and suites with private entrances and lanais, and select suites have romantic fireplaces and two-person jetted tubs with views of the water. 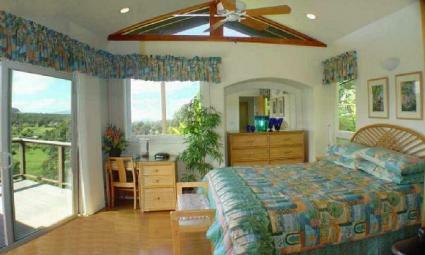 Palms Cliff House is located outside the historic town of Hilo and the beach is within a 15-minute stroll. Maui, the most popular of the Hawaiian islands, offers long stretches of white sand beach, the picturesque whaling village of Lahaina, majestic Mt. Haleakala, and the remote and scenic Hana. The island offers something for every taste, including cycling tours, old mission churches, world-class golf courses and a myriad of water sports. Nestled in the West Maui Mountains, Ho'oilo House is a luxury five-bedroom inn offering panoramic views of the Pacific Ocean and neighboring islands. Cited as a "laid back love nest" by USA Today, Ho'oilo House's guest rooms feature air conditioning, luxury bath amenities, and a delicious island breakfast each morning. The resort has a freshwater swimming pool and a meditation gazebo, and serves a homemade continental breakfast daily. Guests are minutes from the historic whaling town of Lahaina and the Kaanapali resort area. Maui Tradewinds, a romantic retreat on Maui's magnificent north coast, offers panoramic views and blissful privacy in its two guest accommodations. Choose from a luxurious cottage with a fully equipped kitchen, sunken hot tub and panoramic views, or a more affordable suite with its own kitchenette in the main house. 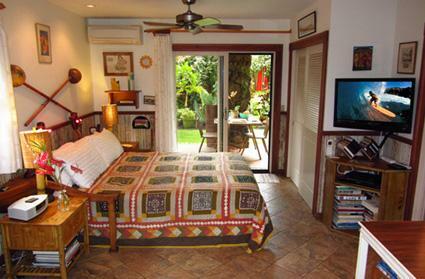 Hawaii bed and breakfast inns allow visitors to experience a quieter and more serene side of the islands. Whether you're in the market for a romantic retreat or a budget-friendly family vacation, there's a charming Hawaii inn to fill the bill.